How important is good cell service on the water? We’ve reached the time of year when most small craft are in drydock, at least in the northern half of the country. That doesn’t mean it’s time to forget about boating, of course, and this is a perfect time of the year to think about upgrades. One of the easiest upgrades you can make is the addition of a cell booster. Cellular signal boosters take weak cellular signals and make them stronger inside where you need them to be stronger. Since most cellular communication is really only designed to work from a distance of 2 miles or less, you’ll need something like this in order to get good cell service if you’re going any further. Most cellular boosters will work just fine on the water but if you really want to get the right part you’ll want an industrial-quality booster that uses 50 Ohm cable, paired with this marine-grade antenna. Most antennas will work just fine but will corrode a little quicker in salt water. 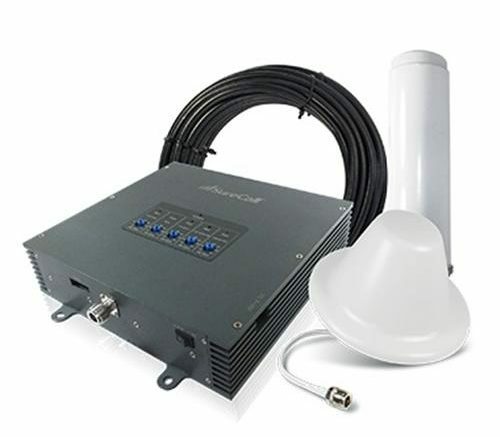 This one is specifically designed for marine applications and the use of the larger N-connector on 50 Ohm antennas could potentially block water better as well. If you’re out on the water, you should be using a marine radio and GPS to make sure you can find your way even in low visibility, but that doesn’t mean a cell phone isn’t necessary. No one wants to be out of touch even when out enjoying yourself, and if there is some sort of emergency, having a way to call directly could save your life. Using a cellular booster, it’s hard to really pin down how far from the towers you can be and still get service, but it’s not impossible to get signals from 15 miles away if you have a clear line of sight. It’s hard to make promises but since there’s nothing out there to block you, you could do a lot better than you do on land. Of course, cell phones aren’t just for emergencies anymore. No one wants to be away from text, email, social networking and games for very long, and if you choose the right booster, you’ll have strong data as well as voice. That’s increasingly important today. If you’re not sure what cellular booster is right for you, give Solid Signal a call at 877.312.4547. Our help desk is staffed with helpful, well-trained folks who are happy to talk about all your options and recommend the right one for you!